Entering 38 races in total including 8 World Championship GPs, spread across 7 European Countries, qualifying to start in 37 and finishing in 30 races with 20 top ten finishes of which, twelve were top six, we exceeded our objectives and more than our highest expectations. With the notable exception of Ron Kenward, it would have been very hard at the start of our campaign, to find anybody who would have believed it possible for us to achieve the consistency of starts and finishes as recorded, on virtually standard MSDS Parillas with engines we had built or modified, in the main, from standard Parilla parts. 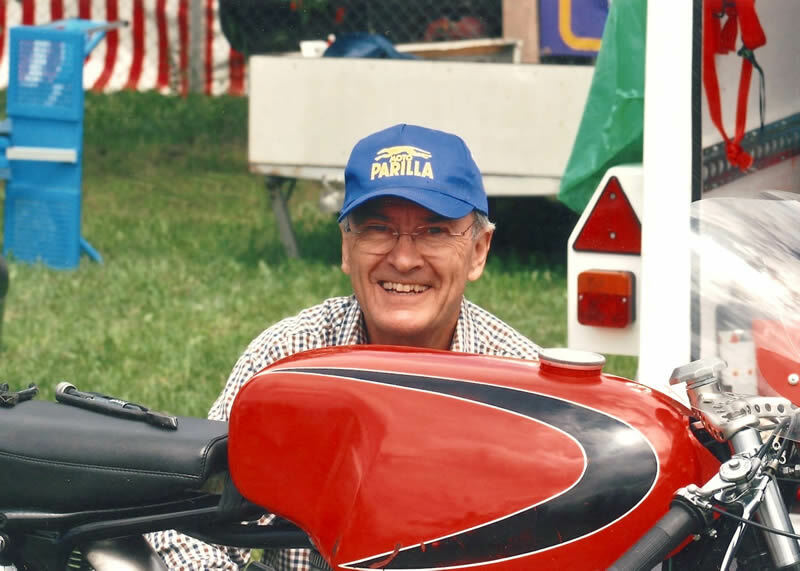 Without Ron Kenward’s considerable help, engineering skill and encouragement, it would most certainly have been a very different and shorter story. Vic Wotton also played a very important part in the success of the campaign. Whilst at the time I was very disappointed at his sudden decision to drop out following the Ulster G.P, I will forever be thankful to Vic for his support prior to and during 1964. During November and December 64, I spent many evenings with Ron Kenward at his home in Puttenham, exploring various options by which I could continue and advance my racing career. One option was to continue with the 125 and my 250 Parilla and to further develop them with new frames, forks and front brakes. Unfortunately the cost of all this was way beyond my financial resources. Another option we considered was to only keep and upgrade the 125 Parilla and purchase a new 250 Aermacchi, this was my preferred option as it would have maintained my association with the Parilla name which I considered important to ensure I could continue my past success at getting entries. 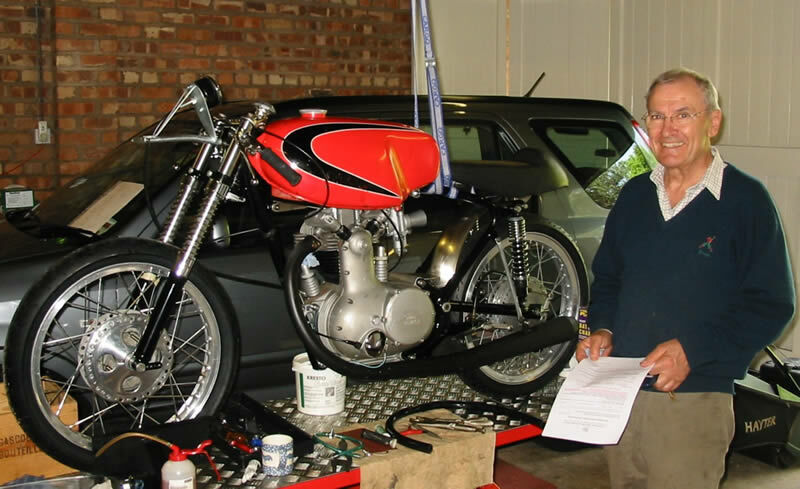 Ron was also keen on this option as he believed we could get more power from the 125 without running into any of the inherent engine design limitations presented to us with the 250. 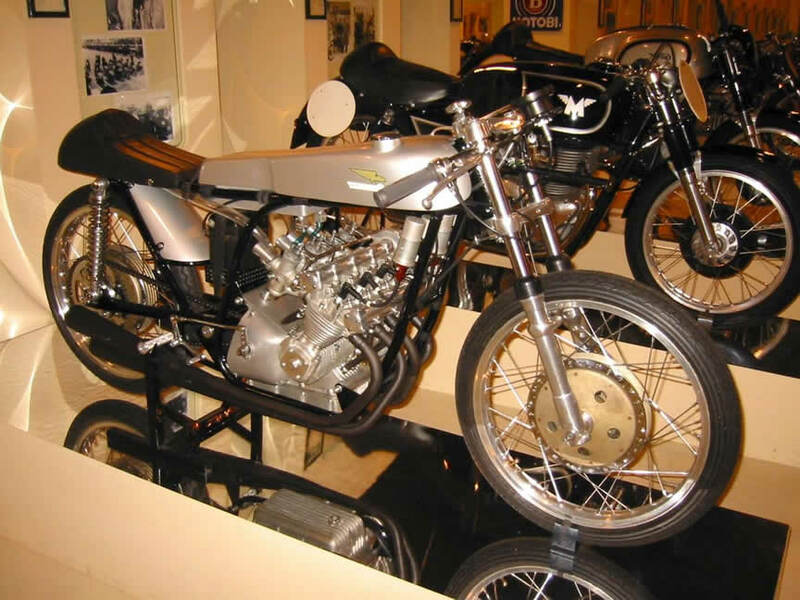 The development limitations with the 250 and 256 engines included excessive crankshaft bearing to drive pinion overhang and potential increased upper cylinder distortion. But again I did not have the necessary funds. By the end of 1964, I had off and on, raced motorcycles for 9 years, there having been some extended breaks over this period when funds ran out! Now with no apparent prospects of getting a Works ride or the sponsorship, I would require to equip myself with competitive racers. I decided I’d had my chance and that the time had now come for me to retire from motorcycle racing. Some riders carried on as privateers in the Circus year after year even when they were not able to advance their ranking against established or up and coming younger riders, but as much as I wanted to continue racing, this was not for me. After all the excitement and pressure from taking part in the Circus, I could not face the prospect of remaining in the UK and taking up any of the engineering 9 to 5 jobs then on offer. I also realised that if I stayed in the UK, I would find it extremely difficult not to compromise and buy cheaper & lower specification bikes which I could afford and return to racing yet once again. In January 65, I was very fortunate in finding an overseas job in a warm climate when I went to live and work in the Alentejo, southern Portugal, as Manager of an Engineering Workshop attached to the copper mining operations of the British company, Mason & Barry. Ginger always told it like it was and I liked him all the more for it. I stayed to watch some of the races at Parc de Retiro but found just watching and not being able to be on track, rather difficult. Leaving the circuit earlier than planned and when driving back to Portugal, I came to the decision not to go to watch motorcycle racing ever again and I kept to this decision for nearly 20 years, that is, until my son Christopher decided he wanted to go motorcycle racing, but that’s the start of yet another story! In addition to Morrie Lowe and Albert (Bert) Achinger, Vernon Cottle, Ramon Torras and my very close and long time friend from Old Woking, John Bacon, were all killed racing on the Continent within less than 12 months of my decision to stop racing. Without any doubt, they all died doing what they loved most but I nevertheless found it very difficult to come to terms with the tragic impact their deaths had on members of their families and close friends. It took the FIM and some Race Organisers far too long, in my opinion, to wake up to the need for greater safety measures and for these to be implemented. Today’s riders would find it very hard to believe what hurdles riders had to face in the past. I did not get to win a race or gain a Works ride but I was very lucky. Participating in the Circus in 1964 was for me a fantastic and rewarding experience and I would not have missed any of it for the World. Only after many years did Richard come to realize that crossing the finishing line for the last time in the 250 race at the Parc de Retiro, was not the end but only a postponement of his dream and that it would return………some 40 years later!